Jared A. Levy is the Senior Equities Strategist for Zacks Investment Research and manages several trading services, which can be found along with his blog at his website JaredLevy.com. He is also a Managing Partner of Alternative Investments at Belpointe Capital in Greenwich, Connecticut. He has served as a market maker, specialist, and risk manager on three major stock exchanges, completely immersed in the finance and options industries since the age of eighteen. He published his first book, Your Options Handbook, by the age of thirty-one. 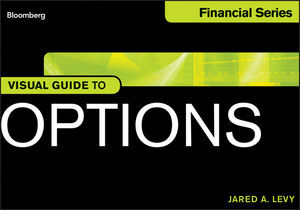 Jared has worked for some of the most respected option trading firms in the world and has himself traded millions of options contracts and millions of shares of stock successfully over the years. Levy's raw commentary and editorial insights have been featured in many industry publications over the years and has touched millions of investors around the globe. He has been a CNBC Fast Money contributing cast member and won an Emmy for his daily video, Trader Cast. Jared regularly appears and offers commentary and strategy on Bloomberg, Fox Business, CNN Radio, and other major TV and radio networks.